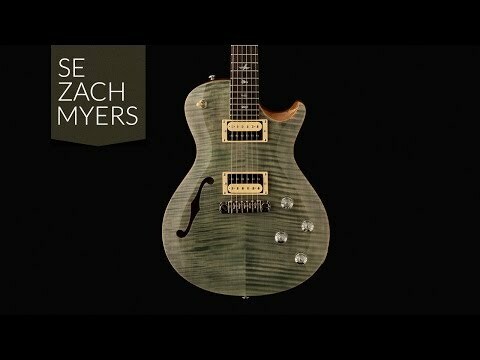 The Zach Myers' signature model is fitted with the PRS Adjustable Stoptail, which provides a seamless connection between the strings and body. The headstock is fitted with vintage style tuners to keep your tuning secure no matter how enthusiastically you play. The tuners compliment the outstanding Trampas Green body finish perfectly, as well as the natural finish on the headstock.